Where did my shell bra go? For the last year I’ve been growing my hair out, past the usual below-shoulders length I’ve been at for the last 5 years. I have thick hair, but the hairs are individually fine and fragile, which has made the process very frustrating (unintentional quasi-alliteration, I swear!). And why have I been aspiring for long hair? To look like a mermaid, of course. But there’s hope for us medium-haired girls. You can look like a mermaid right now, all it’ll take is a curling iron and some teal eyeshadow. Check out the step by step photos below! 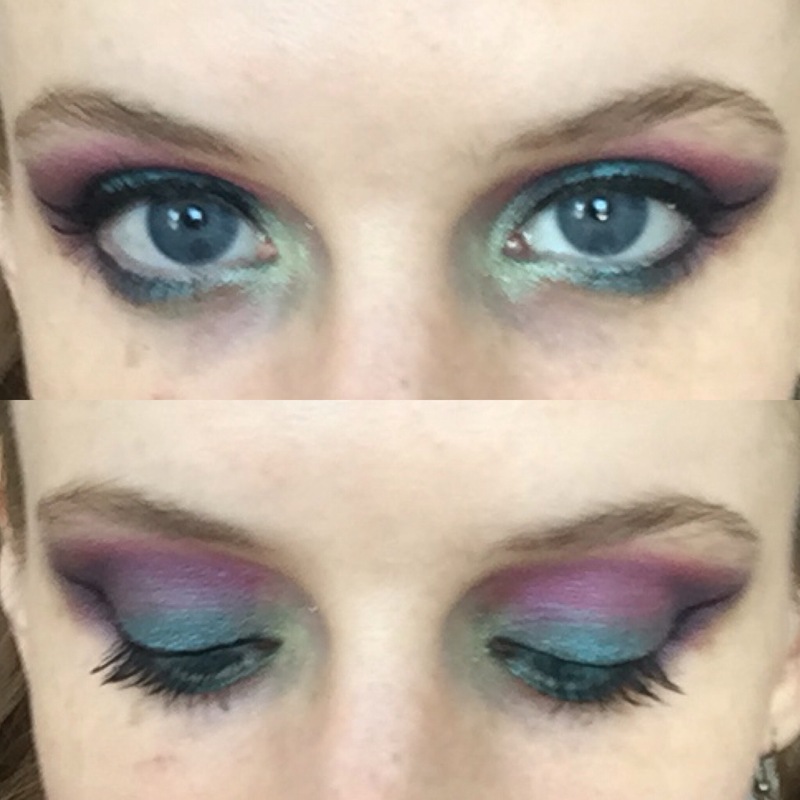 I’ve read many times before that colorful eye makeup should be saved for after dark. My response: where’s the fun in that? But if you’re working at a conservative office, it’s in your interest to keep things subtle. So far my Color Challenge posts have been loud, fun, and a little brash. Today I’m going the opposite direction. 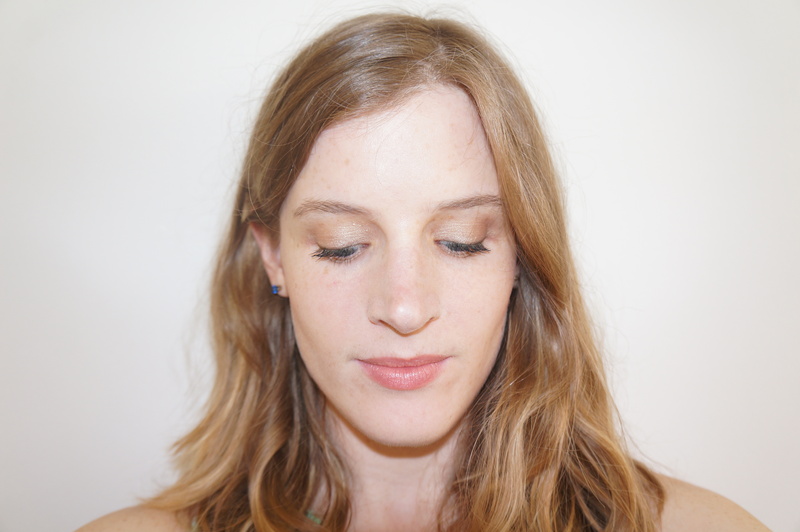 It might look like a neutral eye from a distance, but you’ll be smiling to yourself about your little colorful secret. See the very sneaky close-up shot below. Color Challenge: Hot, Hot, Hot Pink Lips! Already plotting my next lipstick purchase. With Memorial Day come and gone, we’ve unofficially moved into summer, my favorite season. When I think of summer I think of beach trips and dinners of steamed crabs, corn on the cobs, and cold Yuenglings. Summer’s beginning calls for a celebration, and what’s more celebratory than bright pink lips? 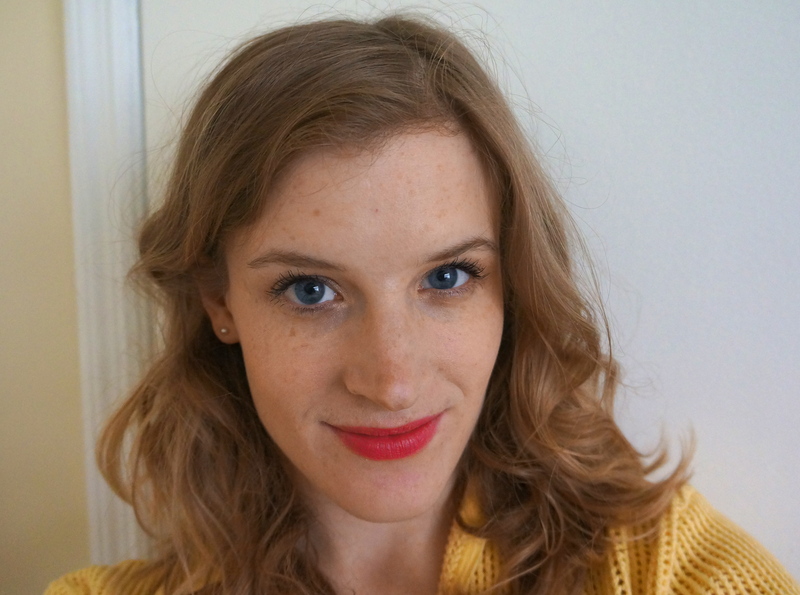 I can already tell this is going to be the Year of the Lipstick for me, having recently picked up three (3!) of the new Maybelline Vivids which I’ll review in a forthcoming post. Short story: they’re hydrating, pigmented, and long-lasting. Very impressive for a $7.50 drugstore lipstick. 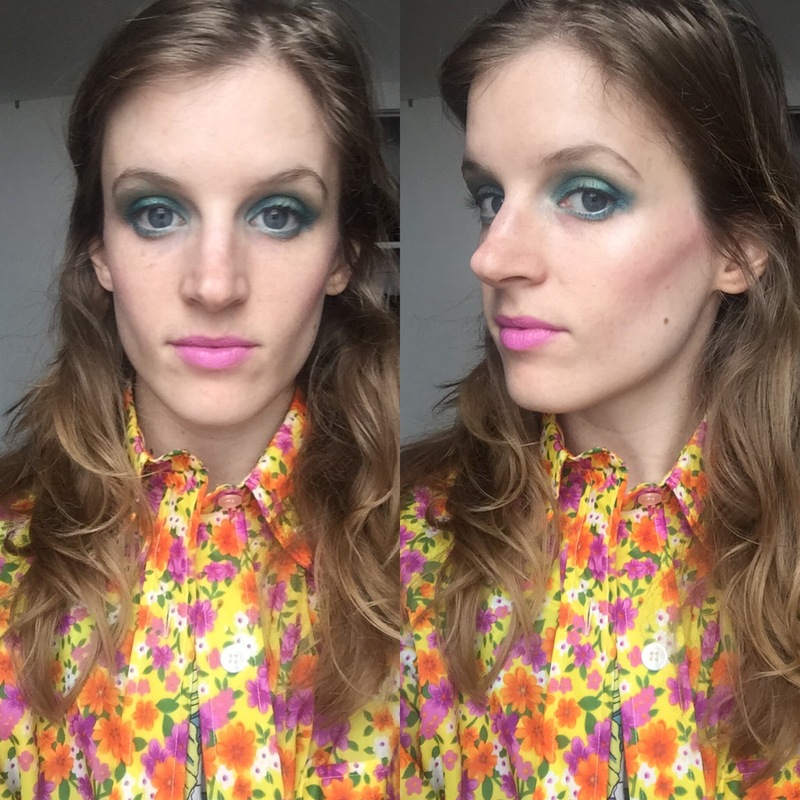 When you’re doing bright lips for daytime, it’s important to balance out the look with your eyes. I love the super chic look of just lipstick, nothing else, but if you’re willing to put in a couple more minutes of work, upper liner and mascara is the way to go. 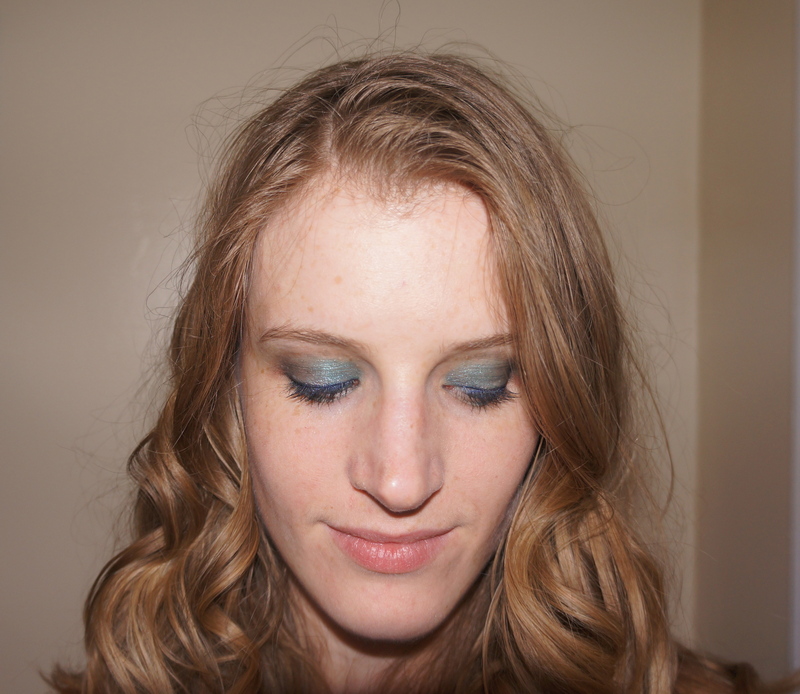 Read on to see a closeup of the eye makeup. 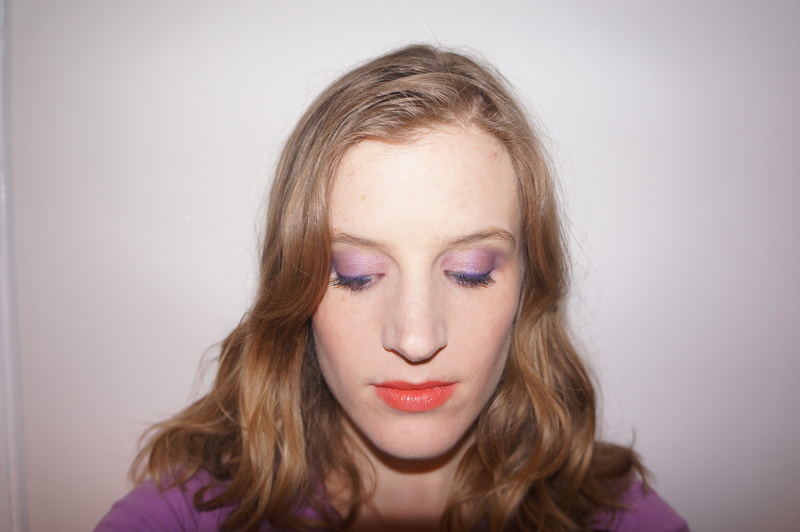 Color Challenge: Purple and Orange – Together! I love purple smokey eyes, and I think it’s one of the easier bright shades to pull off. Brown eyes, blue eyes, and especially green eyes look fantastic with the accent of purple. Therefore I wouldn’t classify it as a color challenge on its own, but paired with an orange lip – that is a true color challenge! 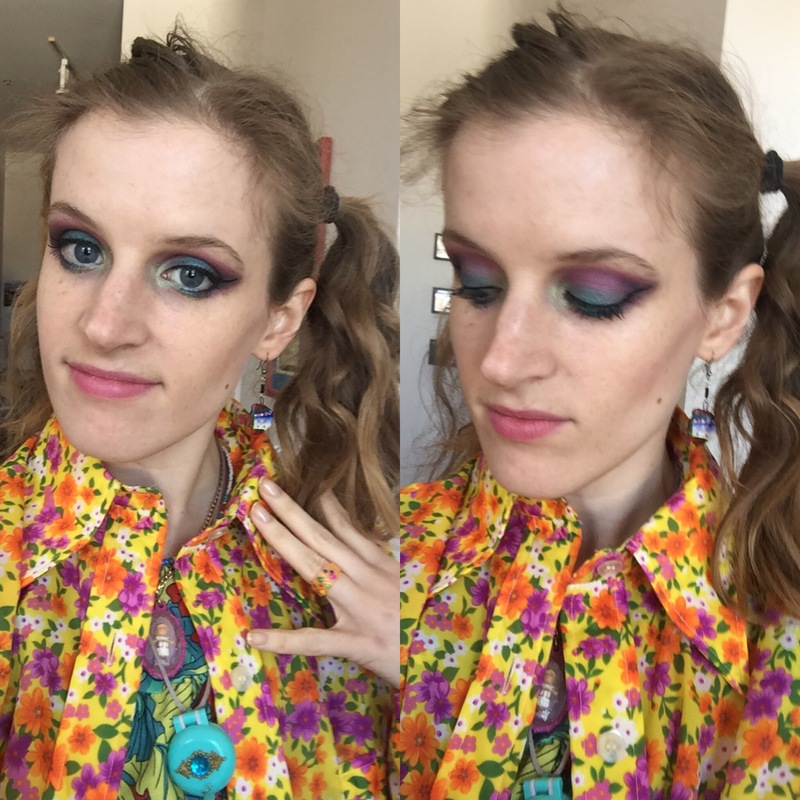 Usually when I wear purple smokey eyes I’ll pair it with cool-toned, blue-based pinks. That’s the obvious, and always beautiful pairing. But what happens when you pair it with a warm-toned lip? Then it’s magical. Pairing warm and cool tones is the new thing, didn’t you know?